Sony is expanding its high-zoom digital still camera line with a new Cyber-shot model that is sure to zero in on the subjects you most desire. 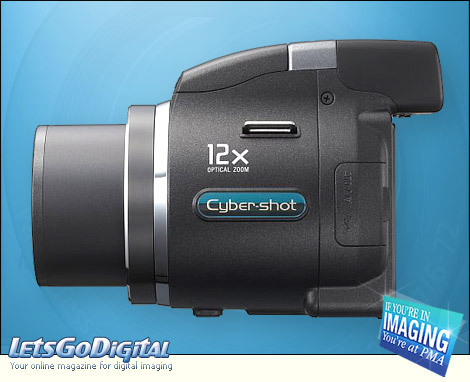 Clad in black and silver, the new Cybershot DSC-H5 model has a 7.2-megapixel CCD imager and extra-large, three-inch LCD screen. The DSC H5 flaunt Carl Zeiss Vario-Tessar 12x optical zoom lenses and focal length ranges of 36 to 432 millimeters (35 mm equivalence). "High-zoom cameras are one of the fastest-growing segments in the industry," said James Neal, director of digital imaging products at Sony Electronics. "They are powerful enough to get those hard-to-see distant shots, and have the easy-to-use functionality of point-and-shoot cameras." Sony Cybershot DSC H5 - Even without the steadiest of hands (or subjects), the cameras' anti-blur technologies ensure challenging shots can be executed with ease. The new Sony Cybershot H5 model incorporates Sony's Super SteadyShot optical image stabilization to help reduce image blur caused by hand movement. Because this Sony camera features high-light sensitivity settings up to IS0 1000, fast-moving cars and people along the boulevard can also be captured with considerably less blur and graininess. Sony's Clear RAW noise reduction technology minimizes picture noise, making it easier to shoot at faster shutter speeds. 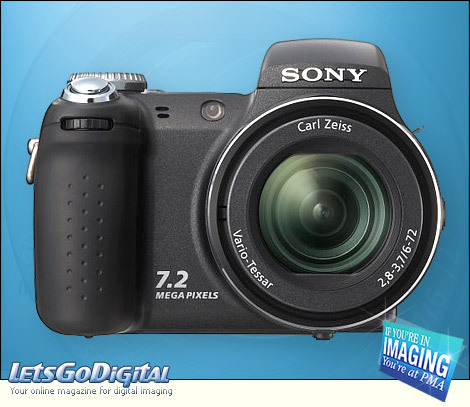 Sony Cyber-shot DSC H5 - Anti-blur technologies - These anti-blur technologies are an advantage when shooting in low-light conditions, such as outdoor shots in the evening or inside dark museums. These shots can be taken without a flash, resulting in naturally-exposed images that truly capture the drama and atmosphere of the moment. And, you can get as close as you want with the cameras' significant macro mode of three-quarters of an inch. Sony DSC H5 digital camera body - The new Sony Cybershot H5 camera is substantial, without feeling bulky, and features a comfortable grip with controls easily accessible by thumb. You can count on detailed image previews using the DSC H5 model's three-inch, high-resolution LCD screen, with a pixel count of 230K and Sony's Clear Photo LCD Plus technology. The LCD features high-quality color reproduction and displays pictures with vivid clarity. 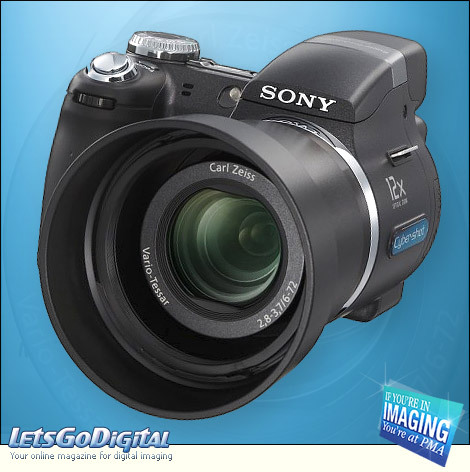 Cybershot DSC-H5 - Sony Real Imaging Processor - Sony's ultra-fast Real Imaging Processor circuitry increases the Cybershot H5's battery efficiency for quicker start-up, faster shot-to-shot times, higher-quality movie capture, and longer battery life. The Sony Cyber-shot H5 camera delivers up to 340 shots on a single charge. The new Sony H5 includes auto-exposure and multi-point, auto-focus features along with pre-set scene modes customized for specific shooting conditions, all working silently in the background while you concentrate on the 'center-stage' action. When greater creative control is needed, aperture/shutter priority and manual exposure modes are available options. Sony DSC H5 - High quality prints - Make the most of your close-ups by producing high-quality prints. 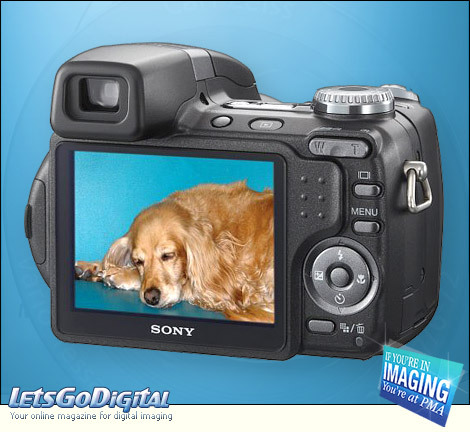 Simply connect the Cybershot DSC-H5 camera to a Sony DPP-FP50 digital photo printer and produce lab-quality photos at home. You can even create postcards for all of your budding fans with the printer's supplied software. With Sony's ImageStation online photo service, you can expand your options to print tens or even hundreds of pictures, create online photo and video albums, or make customized gifts such as photo books and calendars. The Sony DSC-H5 has 32MB of internal memory, which can be expanded with an optional Memory Stick Duo media card or Memory Stick PRO Duo card, now available in capacities up to four gigabytes. The Cyber-shot DSC-H5 camera will be available in May for about $500. 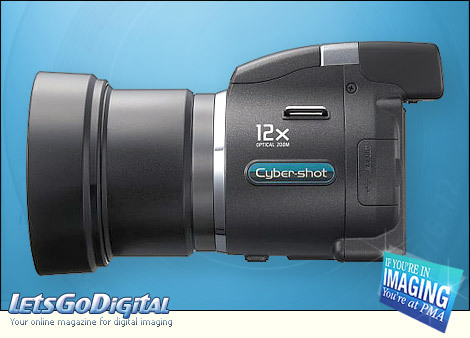 Sony H5 digital camera accessories - Bundled accessories with the Sony Cybershot DSC H2 include rechargeable AA NiMH batteries, charger, lens hood with adaptor and lens cap with strap, and USB and AV output cables. Options include a wide conversion lens (VCL-DH0758) for about $150, a tele-end conversion lens (VCL-DH1758) for about $150, a close-up lens (VCL-M3358) for about $70, a jacket case (LCJ-HC) for about $50, and a soft carrying case (LCS-HA) for $40.